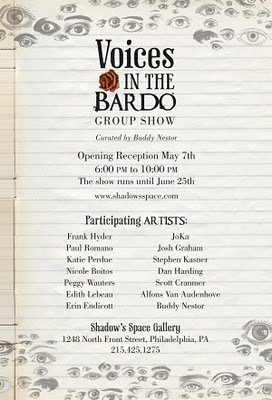 Shadow’s Space is pleased to announce an exhibition featuring works that explore the depths of the Bardo, the transmigration between worlds where death in imminent and darkness begins to close in. 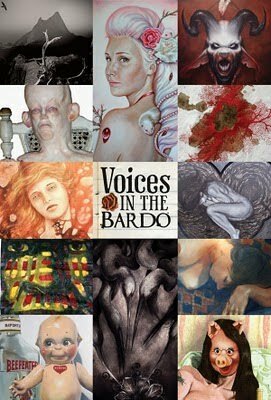 “Voices In The Bardo” takes us on a journey through this plain of existence between life and death featuring portrayals of superheroes & villains, angels & demons, the ugly, the taboo, and varying states of human frailty and folly. Exploring various interpretations of the Bardo are artworks created by a wide range of prominent artists who explore all facets of the neo-grotesque aesthetic, and ideals incorporated within it. Seasoned artists such as Paul Romano, Josh Graham, Stephen Kasner and Frank Hyder will punctuate the exhibition with their highly signified visual styles. 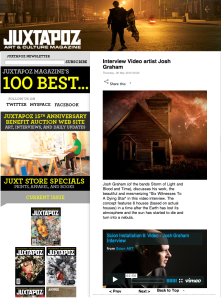 Romano’s striking colorful monstrosities, Graham’s otherworldly photographic manipulations, and Kasner’s dark and haunting imagery has captured the attention of not only the artistic community, but that of multiple recording artists and music fans alike. While Hyder’s unique large-scale creations have graced museum collections worldwide. Edith Lebeau and Dan Harding’s meticulous oil paintings present polar sides of the Bardo, ethereal sweeping beauty and demonic presences. While Peggy Wauters’ bizarre, intricate sculptures and dioramas range from the whimsical to the truly horrific. The sixth Scion Installation tour focuses on the medium of video, which emerged in the 1960s and has since expanded galleries into more experimental, kinetic and interactive spaces. Installation 6: Video challenged 10 artists to create non-narrative video installations that will transform five unique exhibitions. 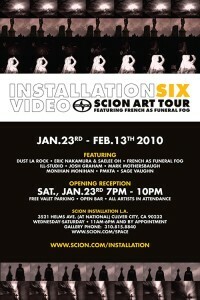 Artists include Dust la Rock (Brooklyn, NY), Eric Nakamura (Los Angeles, CA), Saelee Oh (Los Angeles, CA), French (London, England), Josh Graham (New York, NY), Monihan Monihan (New York, NY), Mark Mothersbaugh (Los Angeles, CA), PMKFA (Tokyo, Japan), Sage Vaughn (Los Angeles, CA) and Ill-Studio (Paris, France). 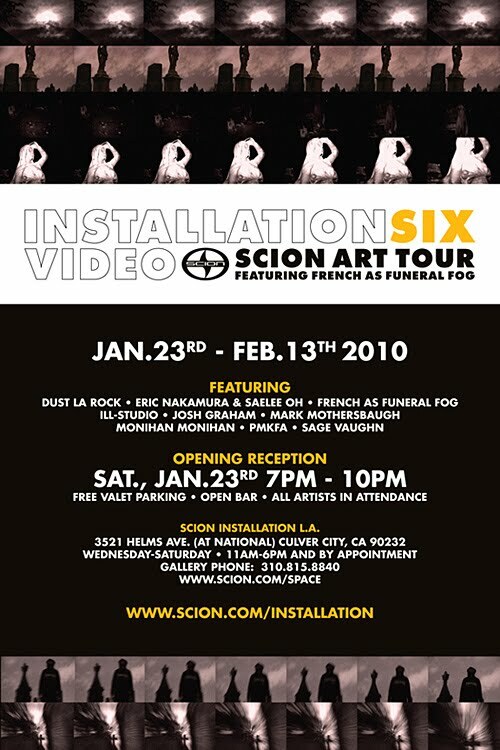 Launched in 2003, Scion Installation is a revolutionary art tour affirming the brand’s ongoing commitment to support independent artistic expression and featuring work from an unprecedented collective of contemporary artists, designers, photographers and filmmakers. 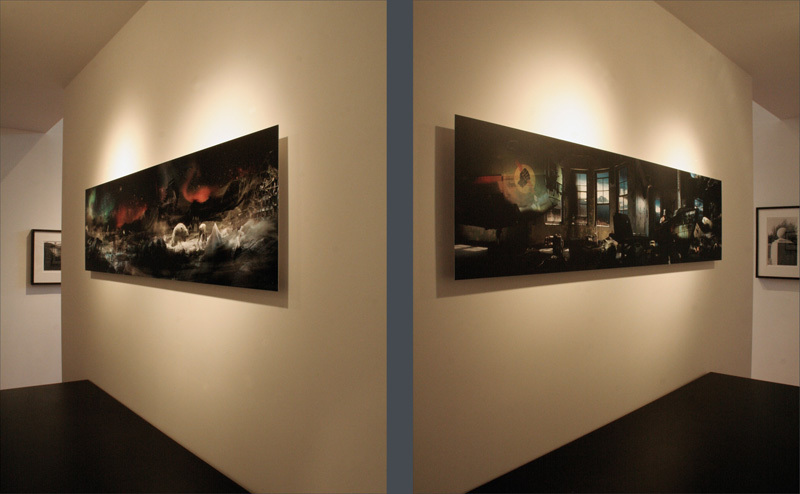 I am pleased to announce that I have two pieces up in the Robert Berman owned E6 Gallery in San Francisco. The River of Time: 62 3/4″ x 17 3/4″ Giclee Print, and Ghosts: 70″ x 18″ Giclee Print. 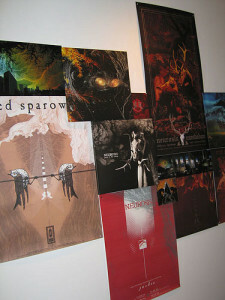 The pieces are above, and were printed by Circle 9 Publishing, the link can be found on my links page. The prints are mounted on aluminum and coated with a cleanable, matte varnish. 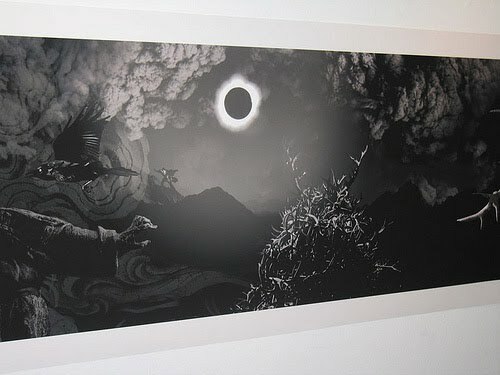 The large prints are currently selling for $2500. 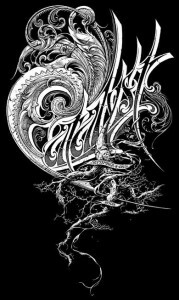 Smaller editions are on the way as well, price TBD. 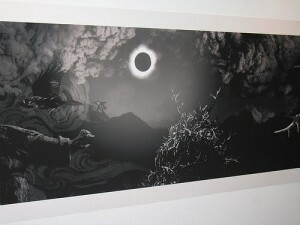 Prints will also be at the Robert Berman Gallery in Santa Monica at Bergomot Station very soon. 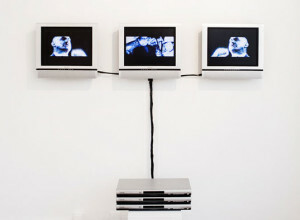 This show ran from September 4th 2008 – November 25th 2008, at Gallery Fifty 24. Included were works from myself, Aaron Turner, Seldon Hunt, Aaron Horkey, Justin Bartlett, Stephen Kasner, Dwid Hellion, and Florian Bertmer. Thanks to all of the other artists and curator Brett Aronson. photos courtesy of Daniel Locascio. photos courtesy of Justin Bartlett.